You already know about THC and CBD. Now it’s time to learn your CBGs. First, a memory: I once rode my bicycle down a winding California road that cut through a stand of eucalyptus trees. I was heading downhill, and the riding was easy. The smell of the warm Pacific Ocean air mixing with fresh flowers and eucalyptus caught my attention. This was more than five years ago, but I can still recall that feeling, that aroma, that clarity. Oddly enough, this ride through Marin County was exactly what came to my mind as I inhaled a hit of a pot strain called Where’s My Bike? Maybe I remembered it in part because it’s called Where’s My Bike? Regardless, this vape cartridge full of Where’s My Bike?, made by Seattle’s Heylo Cannabis Extracts, truly did send me back to the memory—not just because of its fresh floral and herbal flavor, but also because of how it made me feel. Just like that bicycle ride was carefree and energizing, Where’s My Bike? gave me a high that was enlivening and uplifting. I almost hesitate to refer to the feeling as a high. It felt more like the natural energy of working out. The peculiarity of this mellow high may be caused by a rare compound found in this vape pen that behaves in a very different way than pot’s most famous intoxicant, THC. Heylo’s Where’s My Bike? has a remarkable amount of cannabigerol (CBG) in it. CBG is a compound found naturally in pot, but it’s rarely encountered in the legal market. Yet it is the mother of all of pot’s intoxicating effects. CBG is the progenitor, the original, the Adam whose offspring is born from its rib. Before compounds like THC and CBD can exist, there must first be CBG. Pot plants create CBG and then turn it into the more familiar cannabinoids like THC and CBD. The plants don’t want to leave CBG as CBG, they want to make it into other useful things, which makes it hard to find this compound in any real abundance, according to Ethan Russo, a medical doctor and one of the world’s foremost cannabis experts. “It is more or less a way station on the path to these other cannabinoids,” Russo explained. Washington State’s pot market might be the last place to look for plants with high amounts of CBG, considering breeding for CBG essentially inhibits a plant’s THC production. Most legal pot farmers use their resources to grow plants with as much THC in them as possible, hoping that they can entice customers with higher percentages of this intoxicant. This practice floods retail shelves with lots of high-THC options that are essentially all different shades of the same chemical profile. That business strategy doesn’t make much sense to Heylo CEO Laurel Friesen. She thinks these peculiar strains are exactly where the market should be focusing its energy. “People resist breeding these strains that are a potential risk because they are worried that the product won’t sell. We’re looking at it the other way—taking a risk is another opportunity to learn something new,” Friesen said. And with CBG-rich strains like Where’s My Bike?, Heylo might be working on something that could tap into the largest target market for the pot industry: people who don’t smoke pot yet. Russo said the way our bodies interact with CBG gives it a range of medical benefits, as well as reducing the paranoia-inducing effects of THC. “It certainly has muscle-relaxing properties, and it may be stronger than THC in this regard. If CBG is a good muscle relaxant, and we know it doesn’t have very strong intoxicating effects, then… potentially that is a really good drug. That same ability may make CBG a really good antianxiety treatment,” Russo said. “It’s easy to understand how having a good component of CBG combined with THC might make it less anxiety-producing. “There’s also evidence that CBG can fight cancer, gut inflammations like irritable bowel disease, and even that freaky bacterial infection called MRSA. Combine these medical uses with its ability to mellow out a high that might be too overpowering for recreational users, and it could be time to sprinkle CBG on every part of your life. Cannabis flowers are not the showiest blossoms on earth. To the uneducated eye, they are just a sticky mass of dense green plant material. Many people find their pungent odor offensive. But for thousands of years, humans have known there was something special inside these lumps of green. We’ve collected them in our gravesites, smoked them in ritual ceremonies, and just generally been enamored with these intoxicating flowers. It wasn’t until the 19th century that humans started examining the chemical composition of these psychedelic blossoms. And as soon as we applied a scientific eye to these sticky flowers, we found that their intoxicating effects were not the work of just one drug, like the alcohol in beer, but rather a multitude of different chemicals. It started when British chemist Robert Sidney Cahn isolated and described CBN—a degraded form of THC—in the 1930s. Later came CBD, which was isolated by Roger Adams in 1940 while he was working as a chemist at Harvard. Adams’s discovery of CBD would be one of the last big American scientific breakthroughs on pot, as federal prohibition largely ended cannabis research. But as America buried its collective head in the sand regarding pot, people in other places kept studying it. In the 1960s, the full picture of pot’s primary constituents started to come into view, thanks in large part to scientists in Israel. In 1964, an Israeli scientist named Raphael Mechoulam advanced the understanding of pot further than anyone before him when he isolated and chemically described THC, pot’s most famous intoxicant. The same year, he published work describing CBG. His discovery of CBG is far less talked about than his isolation of THC, but it might be just as important, because Mechoulam had discovered the mother of almost all pot compounds. As mentioned earlier, pot plants produce CBG first, and then use enzymes to change it into dozens of other compounds, including THC and CBD. Most pot plants are really effective at this task—they convert essentially all of their CBG into other chemicals. But some plants, like Heylo’s Where’s My Bike? strain, aren’t very good at finishing the job, so they leave some CBG behind. 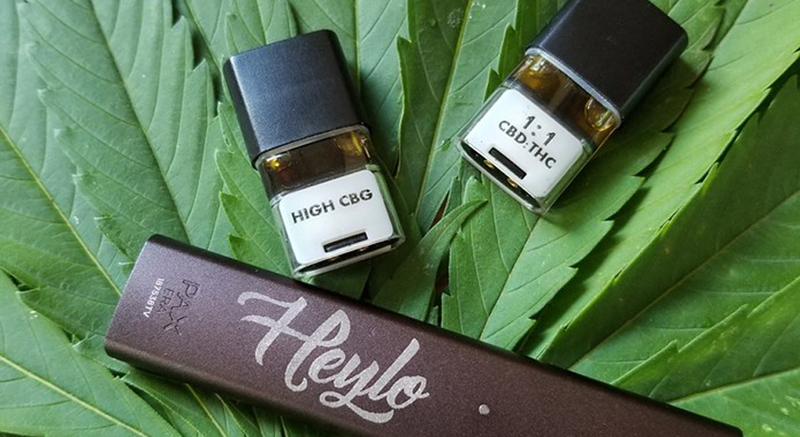 Heylo’s vape cartridge has roughly 60 percent THC in it and 6 percent CBG, meaning CBG constitutes about 10 percent of the total cannabinoids. I sent the test results for this vape cartridge to Ryan Lee, president of the Canadian breeding and consulting company Chemovar Corporation. Lee has spent more than 20 years working in cannabis breeding programs, long before the legal market started, and he said this was an unusual strain. By Lee’s estimation, this strain is only “rare-ish,” so what, I wondered, would make it truly rare? The truly rare plants leave nearly all of their cannabinoids as CBG, essentially producing no THC. Lee said these plants exist, somewhere. “I have never heard of one on the Washington marketplace, where the market is driven by THC scores. The marketplace needs educating,” Lee said. One place where you can find this rare plant in abundance is in the British laboratories of GW Pharmaceuticals, the world leader in cannabis-based medicine. Doctor and cannabis expert Ethan Russo, who was a senior medical adviser for GW Pharmaceuticals for 11 years, said the company was able to use selective breeding to essentially break the enzymes that would normally convert CBG into other compounds. “This particular plant… has a mutation that it doesn’t have any enzymes to carry the CBG(A) into [other cannabinoids], so it means that 100 percent of the cannabinoids produced in that particular plant are CBG(A) which can then be decarboxylated into CBG,” Russo told me. He said he encouraged the company to keep studying this CBG plant, but ultimately they focused more on other parts of the plant, including CBD. GW Pharmaceuticals is the only company to get approval from the US Food and Drug Administration for a cannabis-derived drug. It reached this milestone in medicinal pot in June of this year with a drug called Sativex, which treats a rare form of epilepsy with CBD. CBG has been studied far less than CBD has. But if you look at the medical evidence we do have, it would appear to have a considerable amount of medicinal potential. Pot’s medical value is what first attracted Laurel Friesen to the weed business. 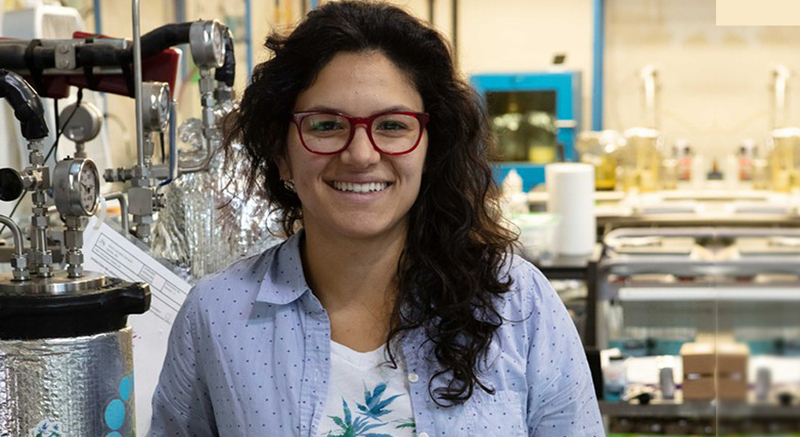 After graduating from Northwestern University with a degree in chemistry, she went to work for a gastroenterology lab at a Chicago hospital. She planned to go to medical school, but then pot’s sticky flowers got in the way of an MD. The supervising doctor at the lab would frequently point out the potential for pot to be an effective treatment for the patients being treated. Friesen started spending time in the medical library reading studies from the 1940s and 1950s, before pot was made illegal, and she was shocked to see the medical evidence for pot’s effects. “I had access to all the white papers and things like that, and once you get past that easiest access stuff that is saying cannabis causes schizophrenia, after you get past those, there’s a lot of meat from a long time ago, from… when people were reporting using it as a medicine,” Friesen told me, sitting on a plush couch in the corner of Heylo’s industrial cannabis lab in Seattle. Friesen also read about the modern American pursuit of pot’s medicine. Driven in part by the prohibition of handling cannabis directly, American pharmaceutical companies have developed synthetic cannabinoids that are created entirely within laboratories to mimic specific pot compounds like THC. Drugs like dronabinol have won FDA approval for helping AIDS and chemotherapy patients, but almost no one thinks they are as effective as real cannabis. Friesen said looking at these attempts convinced her that creating full plant extracts that preserve both cannabinoids like THC and other compounds like the aromatic essential oils called terpenes was a more effective way to create medicine. As we’re sitting in her facility in Seattle’s industrial district, a loud droning sound hums in the background. Occasionally the hum is punctuated by a series of loud thuds like a hammer hitting a sheet of metal. Then it’s back to the monotone hum. That industrial noise is the sound of Friesen making her “natural medicine.” She takes her cues from the pot plant by running cannabis flower through high-tech machinery. The humming sound is coming from a series of metal columns in the center of her facility, about the same height as Friesen herself. Ground up pot is loaded into these machines and mixed with highly pressurized carbon dioxide. This separates the inert plant material from the active chemicals like THC and CBG. After a few hours, those active chemicals are discharged in a substance that looks like thick honey. Instead of going to medical school, Friesen got a job at a company that makes cannabis extraction equipment, and then she moved to Seattle to start her own processing company in Washington’s legal market. There’s some irony in this career path—by going into the legal weed industry, she is now playing around with chemicals that the medical system has almost no access to, CBG being one of them. There has never been a clinical study of CBG, no scientist has published a study showing how CBG works with humans, and there are no current federally approved studies. All we know about this compound comes from examining its qualities in test tubes and on animals. But even with these small tests, there have been some tantalizing results. A 2008 review in the journal Inflammatory Bowel Diseases found that across 51 studies that looked at the effects of cannabinoids on intestinal inflammation, CBG had the largest effect size of any of the studied cannabinoids. Another 2008 study in the Journal of Natural Products found that CBG, along with four other cannabinoids, had a “potent activity” against MRSA, a sometimes fatal and always freaky bacterial infection that can be common in hospitals. Russo noted that CBG is a great example of pot’s ability to treat multiple conditions at once. “We usually think of drugs as having side effects. With cannabis medicines, they often have side benefits. Sometimes you can use one drug instead of five—so it’s a very foreign concept to most doctors,” he said. None of the research on CBG has been conducted on humans, but Russo said that isn’t a reason to believe that it can’t be a powerful form of medicine.